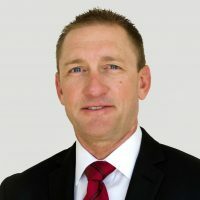 Andy Wilson is the Pilatus Regional Sales Manager in Southern California, Arizona, and New Mexico. A native Texan, Andy developed a fascination with aircraft early in life when, at the age of 4, his father purchased his first aircraft. After spending many thousands of hours in the right seat, he began to consider a professional piloting career. Instead, however, he found bicycle racing and spent many years at the upper end of the sport, including time spent living in Europe racing for a Belgian team. After graduating from SDSU with a degree in finance, Andy joined Regents Bank in San Diego, where he worked his way up from credit analyst to commercial loan officer. His time spent sourcing loans and deposits for small to mid-size businesses and high net worth individuals cultivated an understanding of a diverse cross-section of business, and how to solve challenges faced by his customers. Despite the valuable lessons learned, his love of aviation resurfaced, and it was time to make a change. At this time, his family owned a Pilatus PC-12, and he returned home to fly it. He soon became chief pilot and manager of the aircraft, while also managing the family investment portfolio of securities, real estate, and other assets. A few years later, Andy attained his MBA from Embry Riddle Aeronautical University in Daytona Beach, FL. He made the decision to combine his business knowledge with his love of aviation and chose a career in aviation sales. Since 2014, Wilson has served as a Pilatus sales manager for the Southwestern US, serving a diverse customer base in the region while once again flying his favorite aircraft. Copyright 2015 Cutter Aviation - Pilatus - Dealer for Southern California, Arizona, New Mexico, Colorado and Texas. All Rights Reserved.